Ipswich residents in the UK have taken in hand their problem of local cats disappearing. A map has been designed which shows the scale of the vanishings and has been handed to the local police. Our original article on this problem can be seen at Spine Chilling Injuries and Missing Cats. 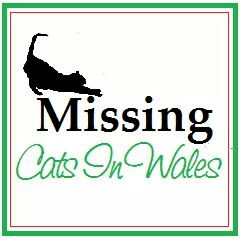 As more people coming forward to report other cats that have gone strangely missing, the scope of the problem has increased dramatically, leaving pet owners fearful for their own pets' safety. “After meeting with all admin, we have new developments in the pipeline. Firstly, we are going to apply for charity status, so the pledge for a reward fund can begin in earnest. We will also have a website up and running soon and plans to run a neighbourhood watch scheme to keep a lookout on cats across Ipswich." 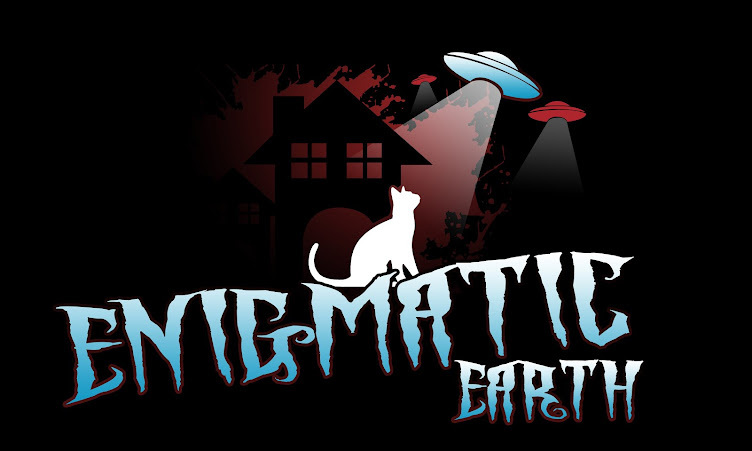 Engma Earth wants to warn everyone that this problem is not just materializing in Ipswich. It has been happening for years all over the world and has only now just become so noticeable that people are waking up to the phenomenon. As noticed in other locations, the problem will soon lesson as the season proceeds towards winter. Vanishings either decrease or move on to a new area during the cooler weather. 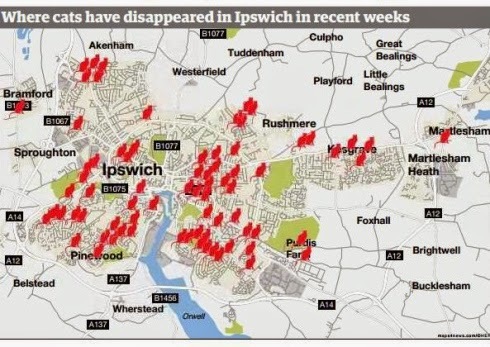 Ipswich residents believe that humans are responsible for the spate of vanishings and torture. This view is not shared by Enigma Earth. We believe that the cats who appear to have been tortured are actually the cats who fought for their life and won, the torture signs being the battle scars. Where ever they have been held they have endured the fight of their life, likely amongst hundreds, perhaps thousands, of other cats, all held in tight conditions consisting of blind fear and excreta with a heat source hot enough to singe whiskers. To those who have had their cats return please tune in to an animal communicator as this may be our only chance to find out what really happened. “I am alarmed at the news that over one hundred cats have gone missing in my constituency in such a short space of time. There must be someone who knows what’s going on”. Cats are not the easiest animal to catch and keep hold of. Even when trapped in a cage the average cat will make a lot of noise in its frantic effort to escape. Because cats do not wander too far from home the culprit must be close. Does anyone have security cameras or use a tracking device? It is presumed that the missing and injured cats have been stolen by humans. For a problem this serious people should be thinking outside the square and start employing ideas of the same value to solve it. Remember that what is reflected here is the REPORTED number of missing cats. In actuality the number is likely to be much higher. Has anyone thought about using a pet psychic to tune into one of the returned cats? What I have read here sends chills through my bones. Ipswich residents please get together and do your best to get to the bottom of this distressing issue. One thing stands out that is different from the usual clusters of cat disappearances. Now some of the missing cats are coming home. From where? NOTE - As of 15th October 2014 a further 52 cats were reported on top of the 108 that police were already aware of. The scope of this problem is clearly beyond that of a single culprit. 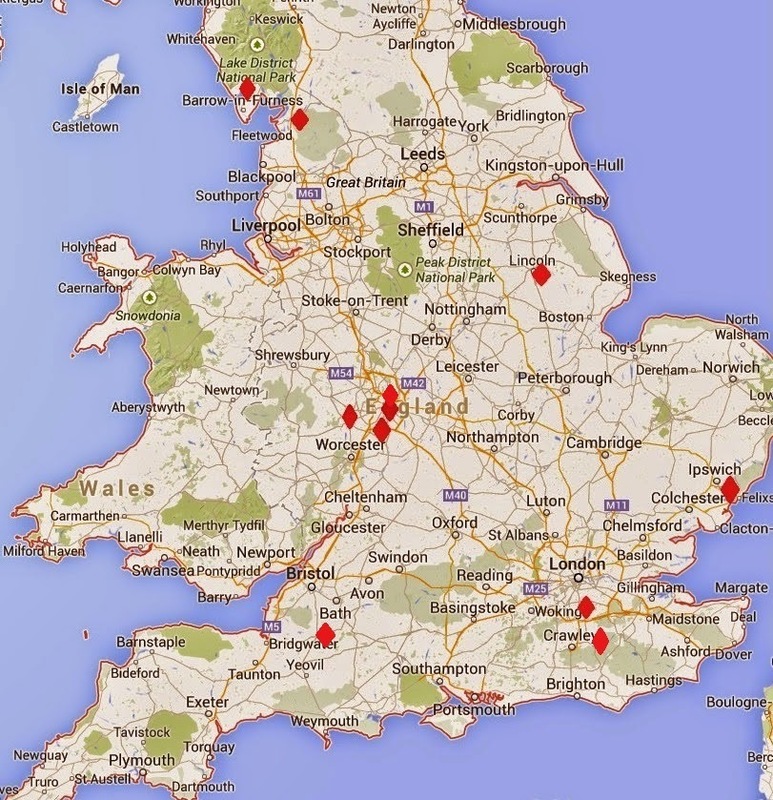 NOTE: As at 27 Oct 2014 the enormity of the problem has been magnified by a location map put together by owners. The number is now closer to 200 missing with no bodies turning up. A website will soon be up and running and a neighbourhood watch scheme is being put in place. I get all over the world there are energetic locations (the earth is gridded in a sense) that create a vortexes. The UK has a large active vortex right now which is also why so many crop circles and UFO sightings are occurring (not sure if that is a fact, but what I see). The energetic forces also cause some species of animals brains to kind of "scramble" or get confused and just run off. Sometimes they wander, and sometimes the energy will collect somewhere and create a beacon for them to gather. I also get that cats aren't the only thing behaving oddly- birds and frogs too?? It effects outside cats because they are able to roam, but inside cats feel it too (again, more odd behavior) but they are trapped in their home. The saga of animal mutilations has been taking place for years and years, the attacks have happened to just about every domesticated animal or pet you could think of, and there are probably many wild life mutilations attacks we never know about for obvious reasons. The big question about mutilations is " What? Why? Where? and When? The only part of that question we can answer is Where and When, the other part What did it? and Why? remain elusive and is open to speculation and theory. While working in our garden it dawned on me that periodically I commit mutilations when I plunge my garden spade into the soil to plant potatoes, I without question, with complete surprise and right out of the blue, cut worms and insects in two. It’s not intentional but unavoidable. These garden mutilations take place certain times throughout the summer, during winter nothing happens. Now take the half cat phenomena for instants, why cats? Are we dealing with a human cause, which I find absurd , or an entity with a vile sense of humour a sort of cosmic joker, a plaguer of human kind that we are doomed to walk with for eternity without ever knowing or seeing this phenomena in person. The worm in my garden knows not why it was cut into, but I do, it had nothing to do with the worm, it was cut into so I could plant potatoes. The worm was innocent and just got in the way, I`m not saying this is why cats are cut into, but could the reason be only for the mutilator to understand. 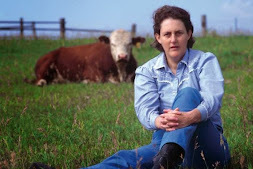 "In the 1990s I tried to create a sort of official thing like the ranch in UTAH (Skinwalker Ranch) This was of course before the events at the ranch. I tried to create a hotspot of information where I was hoping to sort of attract the phenomena to be able to record it better. And it did not give me the results I was hoping for. It’s not something you can just decide to engage in. At least I have not found a way to do it. But it’s worth continuing to try because there seems to be a form of consciousness that is behind it that is extremely subtle, has a great sense of humour, and is completely ruthless". 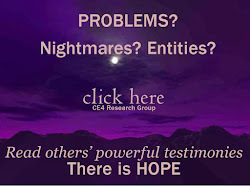 The word "Ruthless" brings to mind a many phenomena Abductions, Missing Time, Missing People, Mutilations, all manner of Entities and things that go Bump in the Night. But I believe there are not many phenomena, there is only one, and that is the consciousness Jaques Vallee speaks of and for whatever reason it expresses itself in many different ways. I suppose in a sense its telling us we do not have total control over this world; it can do whatever it wants when it wants. It can move into your house for 24-hours and haunt you stupid or it can mutilate an animal or run in front of your car on a dark stormy night, its actions are many but only one entity is responsible. I was thinking yet again about the subject of "Fear", it occurred to me, if you take the Ebola panic for example, that the thoughts of being forced to be inoculated against the disease holds more "Fear" than dying from the Ebola virus. In my mind if I catch it then that`s tough, I will either live or die, but the thoughts of being "Forced" to be inoculated quickly instils me with "Fear." It's obvious the word "Forced" ignites "Fear". I only read the other day that it was said whole countries may have to be inoculated, wow! Unless they had already planned the Ebola outbreak and already had the cure made and stored this would be a mammoth task, to produce millions up on millions of doses would take years. By then millions would have succumbed to the virus, that`s if a cure exists. As you may know, some say this is the great population reduction method being unleashed, if that is the case, is the population reduction method in the actual Ebola virus or is it in the "Forced" vaccination. One thing has always puzzled me and that is if they want to reduce the population with a rouge vaccine, why force people to take the vaccination to complete their agenda? Why not just let the deadly virus do its work. No! me thinks if they have and want to administer a vaccine then there is some other agenda taking place. As for the vaccine (if there is one) what does it consist of? We have all heard of nano-technology and how it will be possible to inject us with "Nano- Vaccines", clicking on the internet will give you a list of "For" and " Against" concerning the use of this type of vaccine and how it could change or destroy us by covert means. Unless there is something else, unless they just want to lay waste to large areas of Africa, I remember Gordon Duffs words that an elite group was looking around the world for land they could terraform (and Africa was one of those places) to accommodate a nomadic Alien space faring race looking for somewhere to live, and since I heard Gordon Duff say those words Africa has not been out of the news. Is the threat of Ebola to keep us away from Africa while they terraform a large part of that continent, is the "Fear" of it spreading to Europe and elsewhere a distraction, they have to make it seem that it could become a worldwide epidemic to grab our attention from what`s really going on. 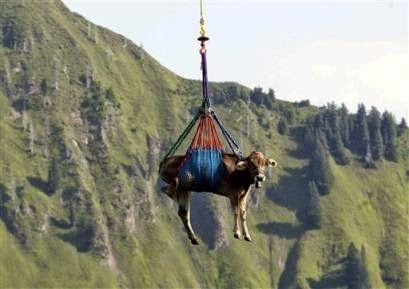 Many of you remember the "Fear" generated by the Swine Flu and Bird Flu, they tried so hard to get this "Scare" off the ground. Then there was the most "Fearful " "Mad Cow Disease". The disease would, we are told, turn our brains to mush, they even showed ( or should I say displayed ) people dying from this dreaded disease on the television, the nation for a period of time "Feared" everything to do with a cow that we ate, and then it all died a quiet death, just like Swine Flu and Bird Flu. So what is going on with Ebola, it's always existed, so why has it not escaped to the wider world before, why in my life time, is this the first time I`m hearing of it as a worldwide threat. It is doing one thing and that is generating "Fear". It's as though they keep ramping up the "Fear" as though they need it, just like we need to top up the petrol in out tank, if we do not, we break down. 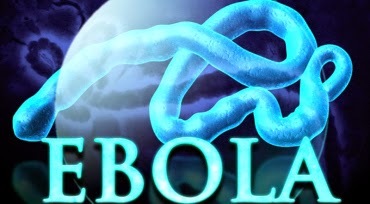 If the Ebola panic dies a quiet death then we are either subject to some sort of psychological process or some major entity is feeding off our "Fear" and one other thing, and that is it's some sort of Alien agenda that requires the co-operation of an elite few on Earth. Whatever the reason the Ebola virus is suspicious, I watch and await the outcome. There is more to this than meets the eye. It appears our people here in London have everything under control regarding Ebola (I wish). Read what Dr Nabarro said. If it is so serious why do they sound so come-day go-day, if the threat is real pull out all stops. My opinion. Is this for real? Are we to be expected to believe this crap? Have animal mutilations gone so far and have become so noticeable that this story has been concocted to cover tracks and explain a horrendous reality as merely our ‘parents’ doing their bit for the common good? Read on.. SO THE ARMY COLLECTS COWS AND PERFORMS GHASTLY TESTS BEFORE PITCHING THE DEAD ANIMALS BACK TO EARTH? WE THINK SOMEONE SPEAKS WITH FORKED TONGUE. PERHAPS LITERALLY. The links below will take you to the original article. Look behind the words and make up your own mind. "Something is not quite right"
Blaming foul play on the quantities of cats that have gone missing in Lincolnshire UK is the authorities way of finding an easy solution to the mystery. Anti-freeze and poisoning may be an easy way to explain dead animals but how does that explain the fact that the animals have simply vanished. There are NO BODIES. No sick cats arrive home to die. Do cats even like to eat anti-freeze? "I know for sure that mine isn't the type of wander - too fat for a start. We live in a quiet small village. Cats just don’t go missing without any sign, which makes me think something is not quite right." So what DOES happen to the pussies that are literally there one moment and gone the next. The USA tends to put the blame on coyotes, the UK tends to blame poison. Instead of sleeping at night maybe residents should take up a good vantage point to view the city, view the neighbourhood or view the street. This would be a much better method of finding a solution instead of passing the problem off using common theories. 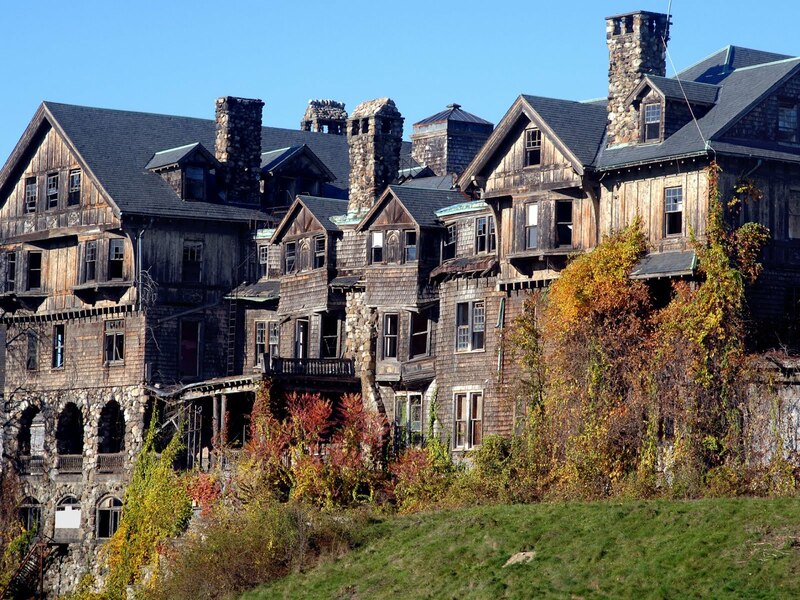 STRANGE DISAPPEARANCES USUALLY HAVE A STRANGE ORIGIN. Cat owners are advised to think outside the square.